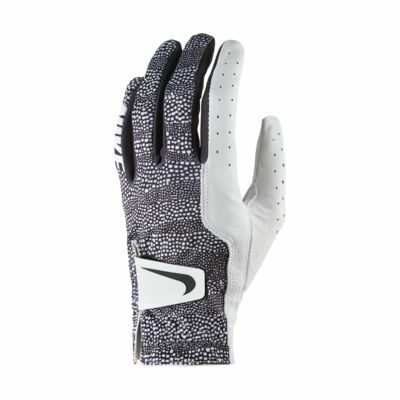 The Nike Tech Women's Golf Glove features supple leather and targeted stretch fabric for a comfortable, natural feel. Sweat-wicking construction helps keep your hands dry and comfortable through every swing. The Nike Tech Women&apos;s Golf Glove features supple leather and targeted stretch fabric for a comfortable, natural feel. Sweat-wicking construction helps keep your hands dry and comfortable through every swing.